This years Fespa Fabric will be opening its doors alongside the Fespa Global Expo and the European Sign Expo from 18 to 22 May in Cologne. 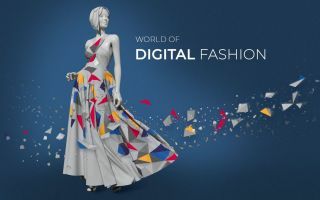 Fespa Fabric alone is already a challenge, being 44 percent larger than the previous event in London in 2013 and offering the biggest constellation of possibilities in the textiles printing and garment decoration sectors thus far. At the end of March, already more than 160 exhibitors confirmed their attendance at Fespa Fabric. With the show&#146;s themes of “infinite space” and also “pink planet”, the organisers want to illustrate the variety of new possibilities, potentials and future visions which could translate into pioneering processes in digital printing, screen printing, and printing processes for the textiles and apparel industry. 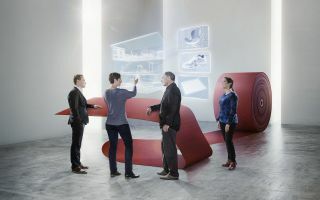 More and more printing providers have now discovered the enormous potential for growth that the textiles and apparel industry has to offer them. 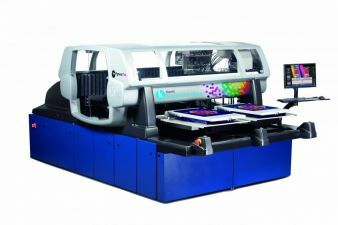 A survey conducted within the printing sector found that 71 percent of the companies surveyed believed that apparel textiles were a growing market for their large-format printing business, and 34 percent said that they took textile printing functions into consideration when purchasing new equipment. The number of exhibitors who are providers within the digital printing sector has significantly increased. Screen printing providers are also displaying an increased interest in the show. Workshops, seminars and presentations on the topic of apparel printing round out the event and are offered in the Fespa Education Hub in Hall 8. Also on the programme are talks on subjects including “Direct to Garment Printing – Should We or Shouldn&#146;t We?”, and “The Recolouration of Textile Patterns”, as well as offerings on the implementation of e-commerce systems, practical workshops with tips for various screen printing techniques, and much more. On the second day of the show, contributions distinguished by outstanding printing skills will be recognised at the 2015 Fespa Awards. The products from the screen printing, digital printing and mixed-technique printing sectors will be on display on the show boulevard in a diverse range of categories. ESC Decoration Technologies will have a presence in two halls at the same time. While ESC&#146;s screen printing, digital printing, and tampon printing machines will be on display in Hall 8, the focus in Hall 7 will be on digital printing systems for the textiles industry. Since last year, this exhibitor has been successfully collaborating with Kornit, whose products are distinguished by their reliable, premium printing quality and high productivity. Unique within the market is the inclusion of integrated, automatic pre-treatment for optimised production processes. Their product range encompasses models for small to medium-sized businesses as well as high-tech solutions such as the Avalanche series, which is designed for industrial, high-volume production with a printing area of 600mm x 900mm. 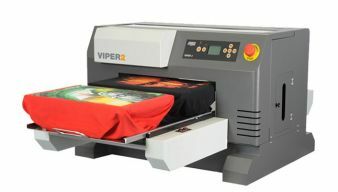 Furthermore, ESC&#146;s product range also includes additional direct-to-garment printing alternatives, such as the DTG-Viper 2 and the DTG-M series. Also on display will be pre-treatment and post-treatment equipment, drying cabinets, CTS systems, the ESC TransSlam laser transfer system, and the Decor and Decos models for applying rhinestones and sequins. 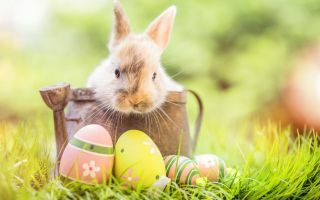 Multi-Plot Europe will showcase their broad product range of HeatJet transfer calenders, which offer a perfect and reliable sublimation solution when combined with the right printer. The calenders are extremely flexible in their handling and operation, and are fitted with a number of different features. The 44evo and 70evo models are available with large infeed tables, which make inserting the printing medium even easier and safer. Processing can be done from roll to roll or on individual sheets so that a wide variety of textiles can be produced. The printed textiles stand out because of the brilliance of the colours, their wash and scratch resistance, UV protection, as well as their hypoallergenic and environmentally-friendly properties. CHT R. Beitlich GmbH will be presenting some new, high-efficiency equipment for the screen printing and transfer system sectors. The newly-developed silicone elastomers from the Alpaprint/Alpatec series for screen printing and coating applications feature excellent printing properties, high fastness and very good elasticity with low emission and pollution levels. The purely water-based Aquaflex transfer system offers an alternative to plastisol and solvent-based systems, and has a huge scope for design on textiles and elastic surfaces. The new Printperfekt FF formaldehyde-free, water-based printing paste system stands out because of the brilliant colours, its excellent fastness and ease of application. The Tubijet primer systems prepare textile materials in the optimal way for setting up ink jet printing results with the appropriate inks. Under the brand name Tubvinyl, the company offers water-based adhesives with optimally-adapted properties for a wide variety of textile flocking applications. To mark the 10th anniversary of Fespa Digital, Fespa will once again take place in the Amsterdam RAI exhibition centre as it did in 2006.